Some of the best fishing in the world happens around this Caribbean Island of Harbour Island, Bahamas. Legendary catches of tuna, marlin and wahoo draws anglers from around the globe. 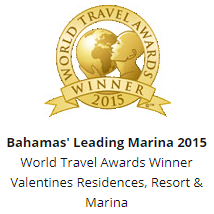 In fact Valentines has become known as the sport fishing center of The Bahamas and preferred Harbour Island Marina. Our Yacht marina is state of the art and favorite Harbour Island attraction for both amateur and professional mariners. 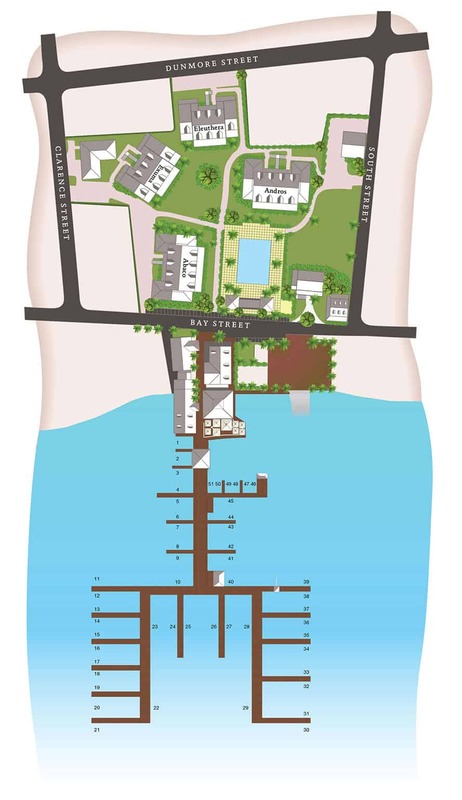 Valentines yacht marina is the largest in Harbour Island and can accommodate ships up to 200 feet. Our well lit marina and docks feature, fuel service, full electric (30, 50, 100 amps), unlimited fresh RO Water, cable hook up, and wireless internet access at every slip. Our friendly dock master is always available to assist you with your marina needs, as well we monitor VHF channel 16 daily 7am – 7pm. Greet all new arrivals at the dock and provide assistance in docking. Assist in releasing and re-docking upon request. Check boats daily in the owner’s absence, including power lines, waterline, etc. Shower, coin laundry service provided and Restroom facilities. Our dock attendants will be happy to assist our members and guests with their luggage on arrival and departure. Mail service and message delivery. Daily fax newspaper at front office. Transportation to and from the docks. A supply of local information is kept in the Dock Office for all registered guests. Nighttime security and restricted access at night. We monitor VHF Channel 16 from 7 am to 7 pm daily. During periods of inclement weather expanded coverage is scheduled. Room Service and on board dining available from 7 am to 9 pm daily. 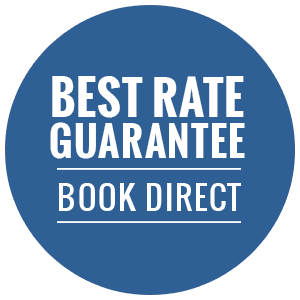 A Guest Service and Telephone Directory is provided for your convenience. For your convenience, we provide a well-equipped Fuel Dock. 110 volts and 220 volts, 100 amp and 100 amp-3 phase electrical service are available. Internet access at each dock. For your convenience, you may purchase ice at our Dock Office. Soft and Pure Reverse Osmosis Water produced on property for the Entire Resort and Marina. Valentines Residences, Resort & Marina is open to all transient boaters year round. 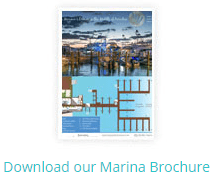 download our Marina flyer click here. if you’re interested in making a reservation, call 1 (866) 389-6864 or email us. Make sure to take advantage of one of our many Special Offers to help get you here!